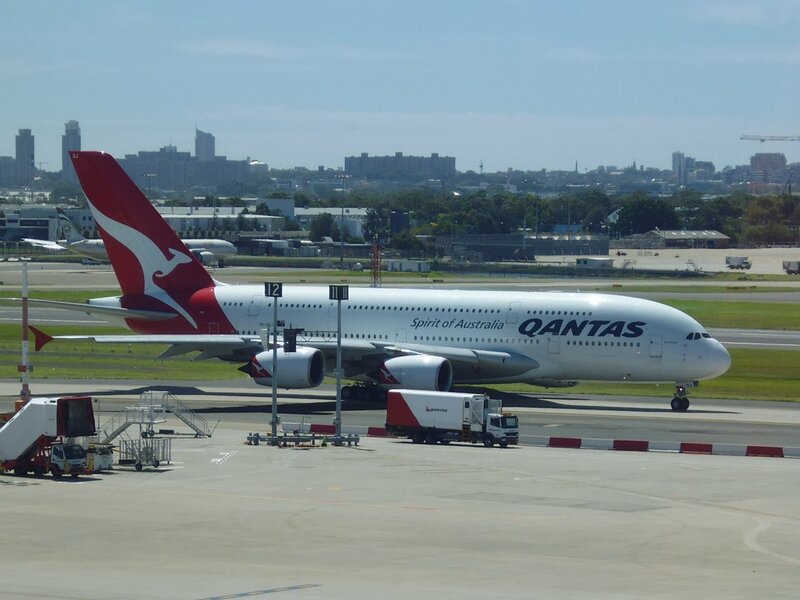 The ladies at Quilting Adventures who saw the pictures I’d taken at Sydney Airport of an A380 were amazed at its size. Here’s one of those photos (note the size of the truck in the foreground). 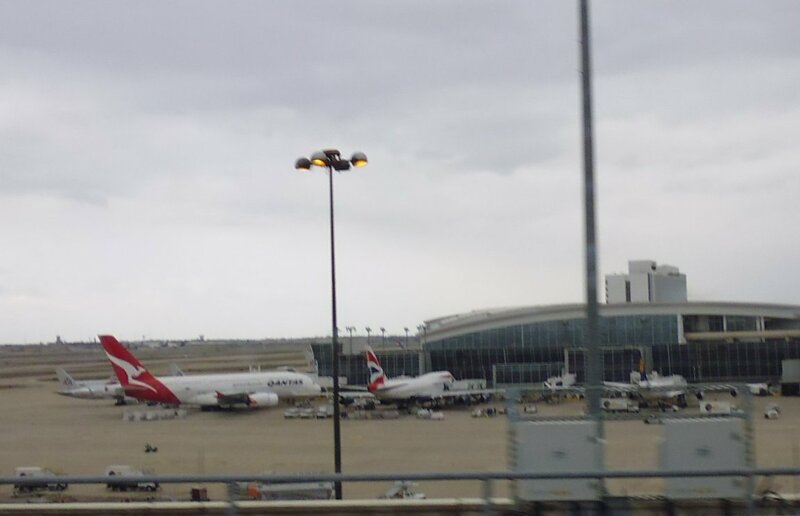 The second photo I took from the SkyLink at DFW Airport, showing an A380 (Qantas) parked next to a Jumbo (747; British Airways livery) to give you some idea of the size of these aircraft.